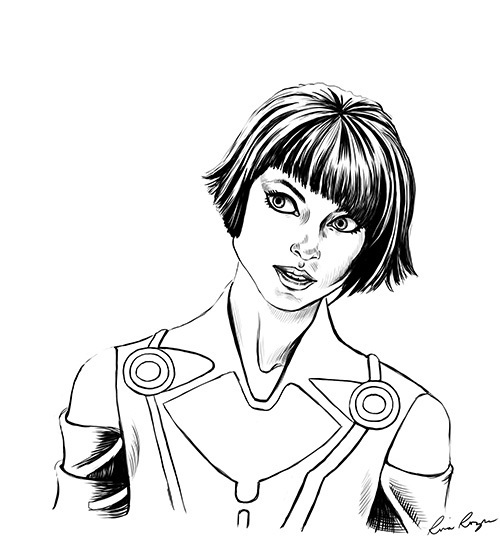 I just finished step 2 of Quorra. During (digital) inking I noticed areas that needed some changes and I think they help to make her look a little more like the original reference. I also added more of her body to the portrait. I plan on colouring it later.